As we move into this era of “mobility” and “autonomy” and “people favoring screens over going and doing stuff” (which is understandable when the screens have better resolutions than your actual eyesight), automakers are ditching auto shows. Auto shows are so yesterday, in fact, that Volvo’s attending the one in LA later this month for the sole purpose of displaying nothing. No, that’s not a joke. The automakers are just plain screwing with us now and they’re spending time, money and other resources to do it. We are a game and the brands are playing us harder than your undefeated uncle whose Scrabble skills don’t subside, no matter how drunk he gets at the holidays. And wowee, did Volvo take that seriously. The company announced Wednesday that it’ll show up to the LA Auto Show with no cars at all. 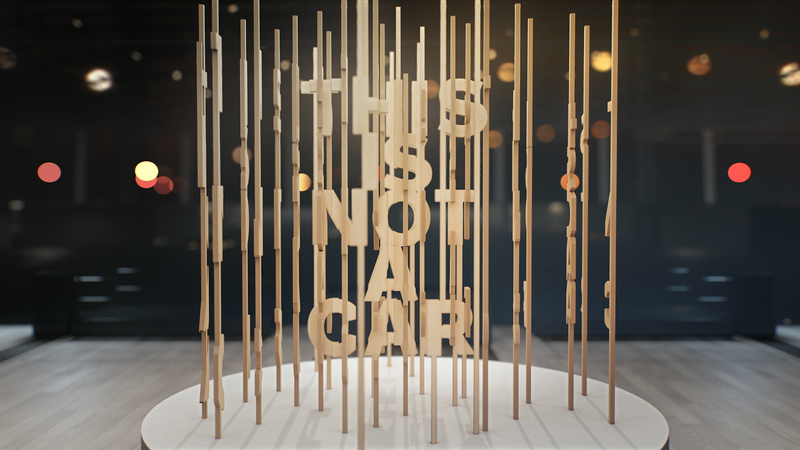 Volvo wants to make it so obvious that it’s not bringing any cars to the show, it actually commissioned someone to build a display saying “This is not a car,” just so there’s no confusion amongst the crowd about whether the strange display in Volvo’s corner of the world is or is not a car. After scrolling up and looking at the photo again, it definitely would have been hard to tell whether that was a car or not without the words. Three cheers for the English language always clearing things up. Volvo’s using the display to “demonstrate its vision” of “redefining what a car can be,” and to call attention to things like its technology for connectivity, in-car delivery, car sharing, autonomous driving and its Care by Volvo subscription service, which we’ve heard is an absolute mess. And that’s when you conveniently excuse yourself to use the restroom.